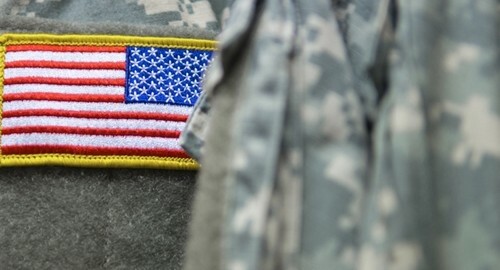 The Obama administration introduced a proposal late last week that would adjust the seven-year old Military Lending Act to protect service members from several loopholes that lenders have reportedly been exploiting. The law originally set a 36 percent limit on short-term loan interest rates, and that cap will now extend to credit cards and installment loans, among others. The Department of Defense prompted the proposal, which would also require lenders to provide more information to military borrowers and end the requirement that borrowers agree to arbitration, thus losing their right to go to court in case of a dispute. The current law covers loans up to $2,000 in value and 90 days in duration. "We have seen firsthand how lenders use loopholes in the rule to prey on members of the military," said Richard Cordray, director of the Consumer Financial Protection Bureau, in a statement. "They lurk right outside of military bases, offering loans that fall just beyond the parameters of the current rule." As The New York Times points out, service members are often financially inexperienced, which makes them attractive to some lenders. The new proposal is the latest legislative push to regulate the lending market, even as subprime loans are once again on the rise. While the subprime mortgage crisis is firmly in the past, business news publication Quartz reports that consumer lending is growing for borrowers with credit scores below 660. Regulators are not overly concerned that a new bubble could be forming, according to USA Today, but the administration's regulatory efforts should prompt borrowers and lenders alike to gather all the information they can before agreeing on a loan. Installment loan software creates amortization schedules to ensure automatic and timely loan repayments.